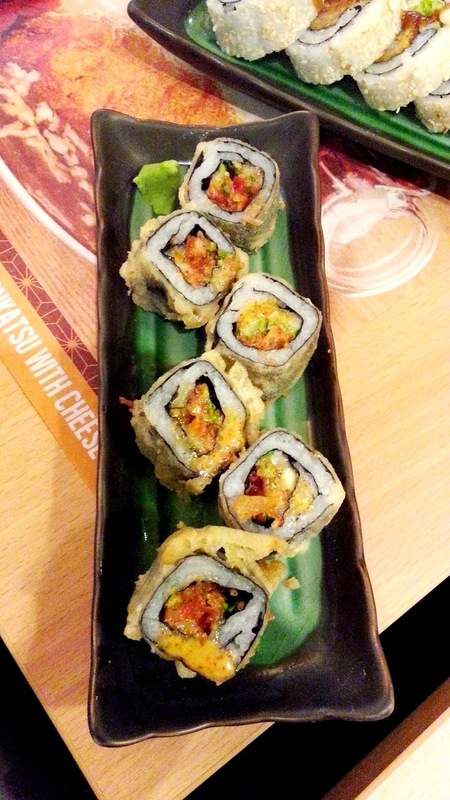 Just last week, another Japanese-inspired restaurant had opened its doors to diners of SM Mega mall. This time they are focused on something we are not really familiar with, well, probably new to me, a new concept in Japanese dining which happens to be ubiquitous in Japanese home-cooking As much as I love to learn more about Japanese cuisine, each time I give a new dish for a try, make me love their culture more. Along with the much-publicized ramen and katsu places, Eri Curry will definitely hit the spot for the newest Japanese dish to be raved about. Whenever we go to Japanese restaurants I never give much attention to their curry dishes. But the fact is, karē raisu (カレーライス) or Japanese curry rice have been a menu mainstay in specialized restaurants even in U.S, cities such as California, Hawaii and New York. Eri Curry finally brought the idea here in Manila, but warped it, making it more interesting. If you are oblivious like I was before having to try one, curry have a favorite in every Japan's household, it was made known to them by the British in the Meiji era (1868–1912) during the time when India was still being colonized by them. 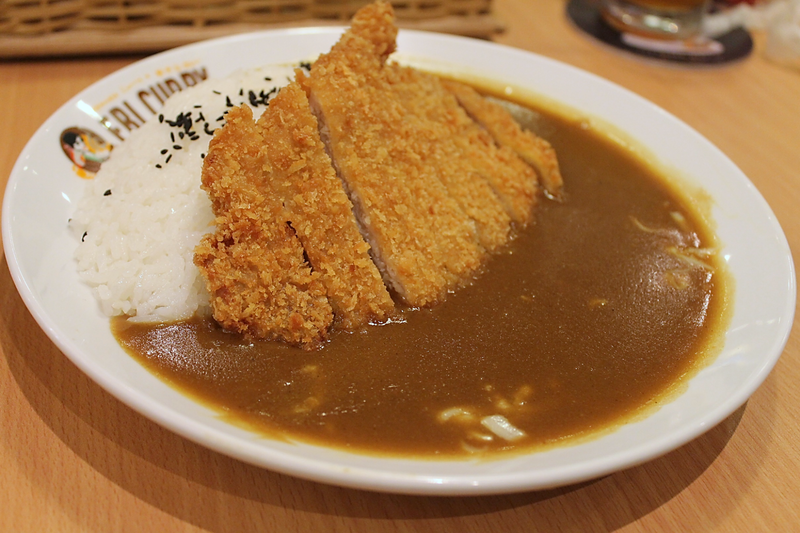 As a result, Japanese curry inherits most of its characteristics from Anglo curry, which means that the Japanese used and continue to use curry powder. Curry powders are not only regular masalas, which are however adapted to Western palates tastes thus resulted in curry dishes that are slightly sweet. The menu was playful enough to zone it to "DYI'ing" your curry rice. But before I give you the deets on my first curry rice experience let me show you some of the other stuff. We tried a couple of their maki, above is a plate of Ebi Futo, crusted shrimp, cucumber and romaine lettuce were rolled together and drizzled with seemingly sweet sauce and mayo. Top photo from left is the Kani Warm and Tender. 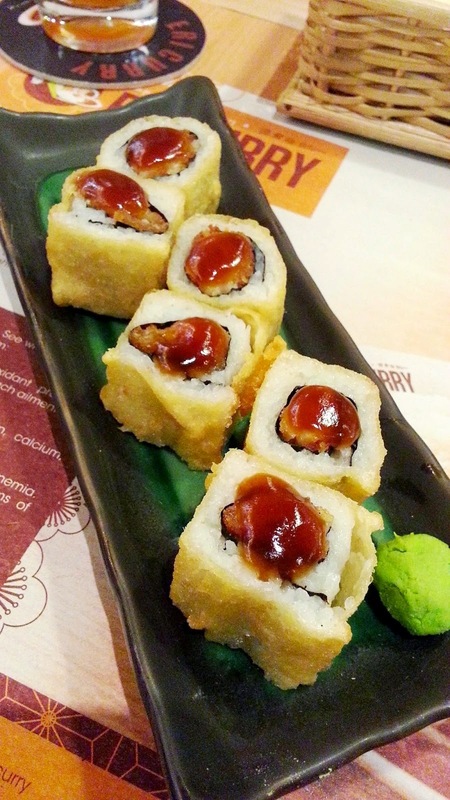 It's fried crab sticks topped with teriyaki sauce. Next to it is the Sakana Warm and Tender, sole fish with mayo. So what else is to love at Eri Curry? Simple. 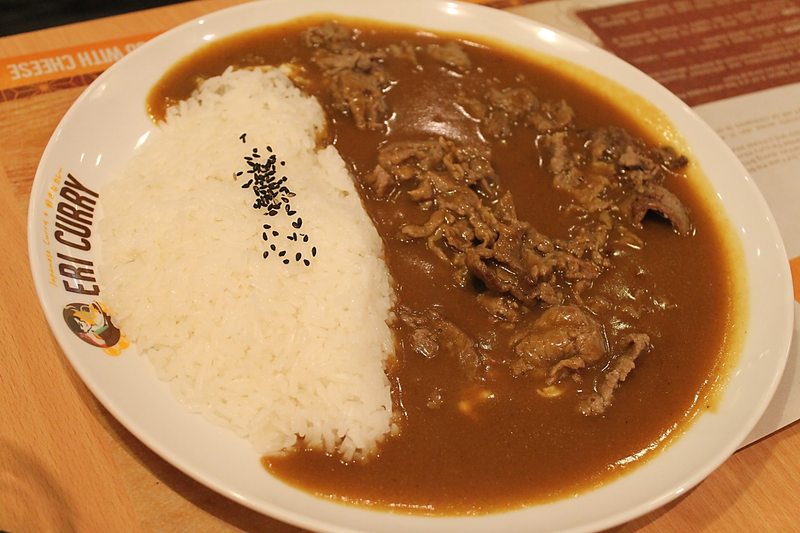 The Japanese curry roux used to smother every plate of curry rice. I ordered the basic plate, Katsu Curry, and as you can see, the serving was tremendous (for me maybe). To order you need to follow simple steps in customizing your curry plate. FIRST, CHOOSE YOUR CURRY PLATE. Different curry dishes lined up to your fancy, may it be pork, thin sliced beef, crunchy squid, shrimp or go veggies. I think mine is 200 grams. Japanese curry can be mildly spiced to totally fiery. It is very different from the curry that we are accustomed to. I've tried three different Thai curries, green, yellow and red, red is the toughest one. Who can manage to contend with Indian curry? The roux which it was made of has a darker brown color, thick like a stew but not creamy and does not have to mixed with coconut milk. For now, I'm gonna stick to Just Right. In this case, I didn't put anything else on it. Maybe next time I can be more adventurous and have other ingredients on my plate. Nevertheless, it was an awesome plate of curry heaven. Jonel of Nomnomclub.com, one of my table mate, had this Thin Sliced Beef Curry. They also offer desserts, but limited to flavored shaved ice, called Kagigori. I was delighted to be part of the select food and lifestyle bloggers to witness their grand launching. On the photo are Cong. Farinas, Chef Erica (head chef of Eri Curry), celebrity guest Pops Fernandez and the owners, on the ribbon cutting ceremony.